The Place to Be For Year-Round Ice Skating FUN in Raleigh! 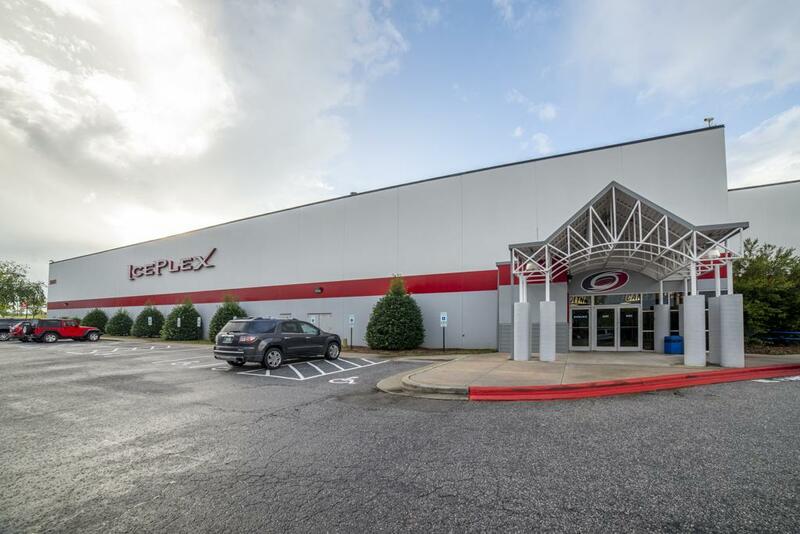 Did you know that the NC IcePlex is North Carolina’s ONLY Olympic Size Sheet of Ice?! We are a full service skating facility offering an extensive variety of skating programs for all ages and abilities. Youth hockey, Adult hockey, Figure Skating, Learn to Skate, Ice Skating Summer Camp and Track Out Camps, birthday parties and more. Our facility features a pro shop, facilities for birthday parties as well as a 2nd floor full of rooms for our campers! We have a gaming room, rock climbing wall and more, with a view of the full sheet of ice down below. We provide patrons with affordable recreation in a clean, safe, and well maintained facility. For your convenience we also provide free WiFi. ©2019 Polar Iceplex / SportsEngine. All Rights Reserved.